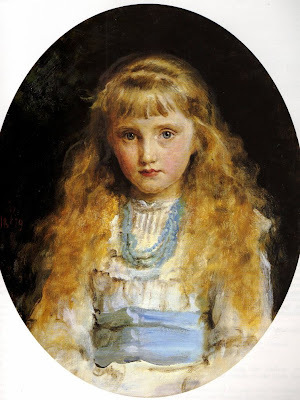 Beatrice was the third daughter of Sophie Caird, nee Gray, Effie Millais' sister. The painting was later owned by Alice Stibbard, the third Gray sister, and the sitters Aunt. It remained in the Millais family until 1984. Thank you - appreciate it.